Thanks to our Vice Chairman, Clive Benney, the rare camera used by St Agnes photographer Sammy Solway to make postcards between 1906 and 1912 has been loaned permanently to St Agnes Museum. The camera is a 1903 Cameo No 5 postcard model and has the price £3-15s-6d on the original cardboard box it came in. That would be about £345 today. 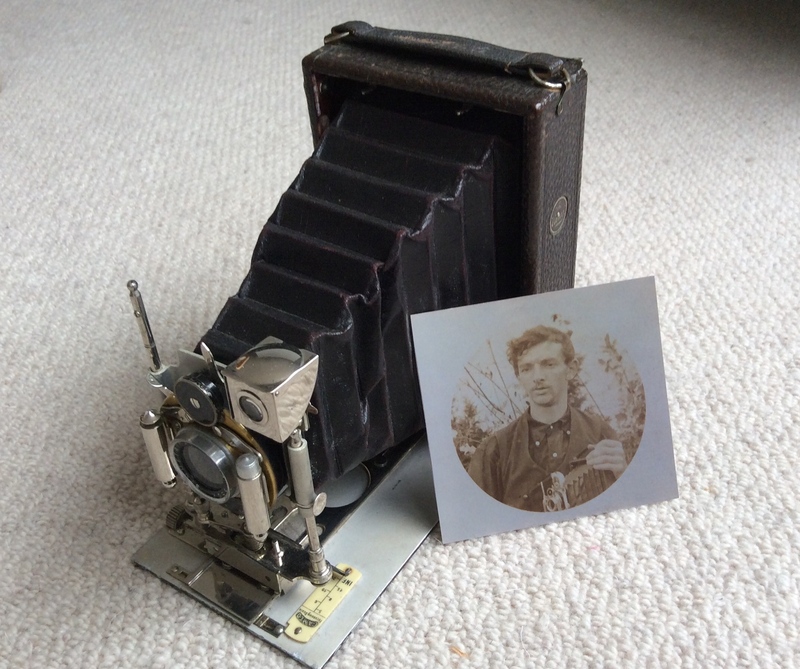 It is a plate camera using postcard size glass plates and was first introduced in 1901. Sammy Solway photographed everything from street scenes to regatta, tea treats, the beach, people and portraits. 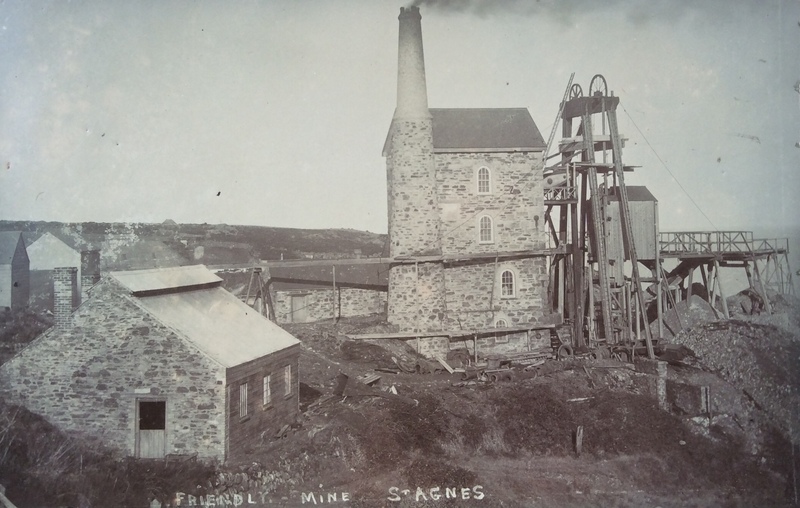 This view of Wheal Friendly Mine dates from about 1905. He took photographs only close to where he lived, of St Agnes, Mithian, Trevellas and Cross Coombe. His postcards are now very sought after.